Check back here on Valentine’s Day, February 14th for the cover reveal!! Thanks so much for having me, Raechel! 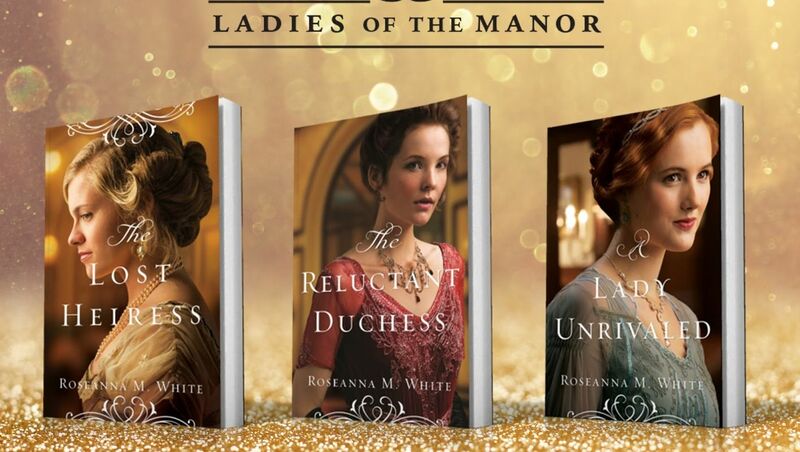 I’m Roseanna M. White, and I write historical romance, usually with a thread of suspense or intrigue or mystery. My current series is set in the early days of World War One, in England. A combination of two. =) My personality is very much like Ella from A Lady Unrivaled, the last book in my previous series, Ladies of the Manor. By a lot me also worked its way into my novelist-hero in A Name Unknown, first book in this newest series. Of your latest series, “Shadows Over England”, the first two books have their own theme – “A Name Unknown” being books, and “A Song Unheard” being music. Is there one pastime you prefer over the other? Um…I guess if it came down to it, books—whether reading them or writing them—are my deepest passion. But I do love music. I’ve been playing piano since I was seven, and that’s where I turn when I’m anxious or nervous and need to kind of tune in (ha ha) to the Lord and find peace. Both, LOL, depending on the day, the project, and whether I’m in a good groove or just working hard under a deadline. I’ve just been thinking about this! It’s vitally important. While I wrote a few novels back during college that I wanted to aim at the general market, I decided then that I just couldn’t do that—I couldn’t put them out there because I didn’t feel like they glorified God. I don’t regret writing them—they helped me grow as a writer—but writing for me is a calling and ministry, so if faith isn’t a part of it, then it’s a fail. Now, other writers have different callings, and I applaud that! Some are called to write in the general market, others view writing as a job and not a ministry, so I have no beef with them either, LOL. But for me, writing is all about faith. I feel like I’m robbing the story of its vitality if I leave out the faith element. That your path is your own, and it’s exactly the one the Lord wants for you. You’ll never be Francine Rivers or Lori Wick or [fill in the blank], but that’s okay. You’ll be you, and you’ll discover things about God and yourself through this journey that is worth far more than the biggest royalty check in the world. Wow. Well, most of my friends at this point are other authors, including my very bestest friend ever, Stephanie Morrill. Stephanie writes young adult novels—we met at our first ACFW conferences, where we were both pregnant and had matching bags, which sparked conversation. We became critique partners afterward and soon got to the point where every stray thought must be shared. We just realized last fall when those kids we’d been pregnant with turned ten that it’s been a DECADE since we met! At that point in time, we were both unpublished. Now we’ve both worked with several different publishers, tried the indie/small press route, and gone through quite a lot of ups and downs together. Stephanie makes me look at things differently, is always there to help brainstorm, all that fun stuff. But I think what I appreciate most about her critiquing is that she knows when to say, “No, that’s not what you meant to happen here. You meant her to do this.” And she’s inevitably right. Beyond that, Stephanie is also an avid reader of craft and industry books (which I am not) and will share new things she learns (I so appreciate that!) and we hold each other accountable. I can’t imagine being on this journey without her! And lastly, would you recommend a book that my readers might like if they’ve read your Shadows Over England series? Absolutely! If they’re looking for the same era, they should check out books by Carrie Turansky. 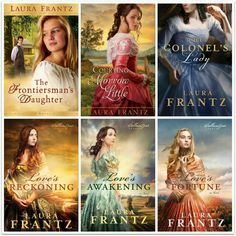 If they want similar style in historicals but not necessarily Edwardian/WWI, then I can’t recommend Laura Franz or Lori Benton enough. 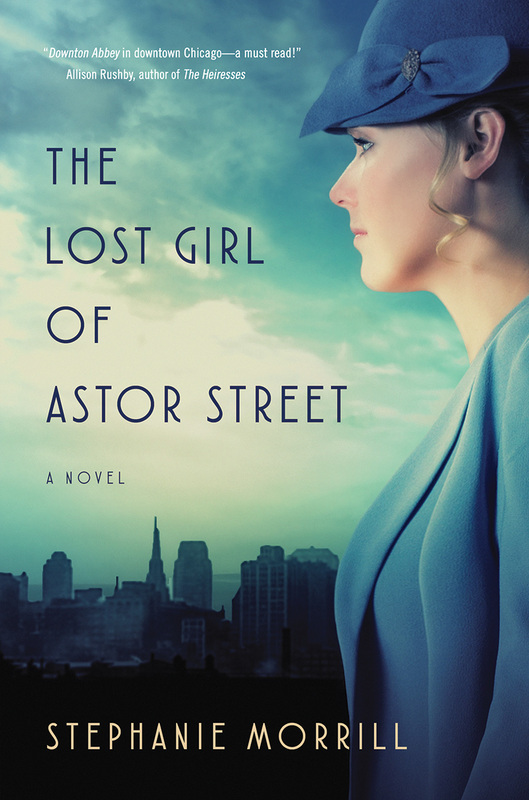 And if they want to advance a bit more into modern time, definitely check out Stephanie’s The Lost Girl of Astor Street! Thank you so very much, Mrs.White! That was a fantastic interview – I love the faith-element answer, as well as what she’d tell her younger writer-self. So beautiful, and relateable for me too. I hope you enjoyed this interview, too, readers! Check back next Monday for a spotlight of “A Song Unheard”s main character, Willa Forsythe! Roseanna M. White is a bestselling, Christy Award nominated author who has long claimed that words are the air she breathes. When not writing fiction, she’s homeschooling her two kids, editing, designing book covers, and pretending her house will clean itself. Roseanna is the author of a slew of historical novels that span several continents and thousands of years. Spies and war and mayhem always seem to find their way into her books…to offset her real life, which is blessedly ordinary. Find out more at www.RoseannaMWhite.com and get exclusive content when you sign up for her newsletter. *Some images were taken from google/pixabay, but some were provided by the author, or created by me. Previous Post And so January has come to an end. What a cool interview! I’m hoping to read some of Mrs. White’s books this year. Can’t wait! Thanks for reading and commenting, Tarissa! I love Roseanna’s books especially her Culper Ring Series. And if you order directly from Roseanna, she is incredibly sweet to sign the books for you. I am so looking forward to reading her new books in the Shadows Over England series!